No, the title of this post does not refer to my upcoming book, Maya and the Book of Everything. I am right on schedule for that. Instead, I am referring to two other books, which I recently checked out from our town’s library. I’ve begun reading White Trash, and it looks as though it’s going to be a very good book. I’ve already begun peppering it with little sticky notes when I find passages that are especially engaging. 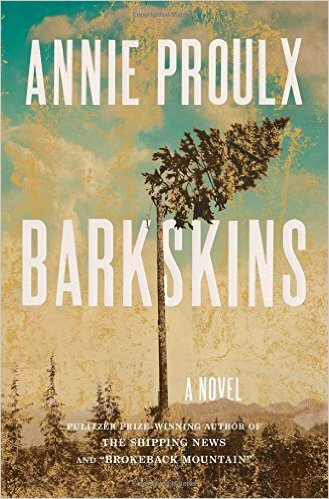 The second book is Barkskins by Annie Proulx, and it’s a novel of two Frenchmen who come to New France in the late seventeenth century. Steven, my Franco book buddy, put this on our must-read list, and knowing there were a lot of holds on Barkskins, I told him I’d see what I could do about getting the book from the library. As luck would have it, Barkskins came far sooner than I expected it would, and now it sits, along with White Trash, on my night stand, two hefty books waiting to be read. And here we come to the crux of the problem. 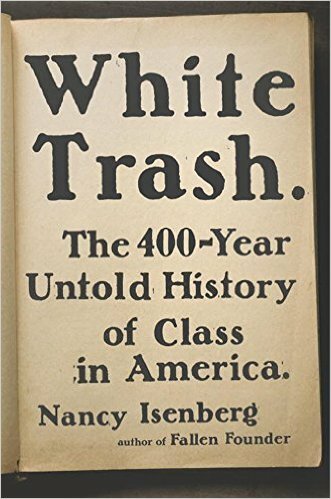 White Trash is 480-pages long, and Barkskins clocks in at a whooping 736 pages. Both are due in two weeks, and for one of those weeks—next week, in fact—my daughter Dee will be visiting from New York. Now, I am a fast reader, but to read over a thousand pages in two weeks is a bit much, even for me. Amazingly enough, White Trash has lots of holds, over fifty I was told by our library’s director. I guess I’m not the only Maine reader who is interested in class in America. Barkskins also has a lot of holds on it. No surprise there. This means that renewing either book is out of the question, and. most likely, I will be able to finish one but not the other. Yesterday, I dipped into White Trash. Today, I will dip into Barkskins. Then, I will have to make a choice. I wasn’t kidding when I chose this post’s title. Under book pressure, indeed. This made me chuckle as my daughter (my reading buddy) and I get ourselves into this very situation from time to time. Plus now I’ve added both of these titles to me ever-lengthening list…. If you ever get the books, let me know what you think of them. Happy reading! They both sound good, but boy are they long! Let us know which one gets the vote! My unsolicited advice: read the novel first. I had independently come to the same conclusion. “Barkskins” it will be. Great minds think alike?